While our state’s economy is booming, our children’s schools, our transportation infrastructure, and many other areas of public investment aren’t keeping up. 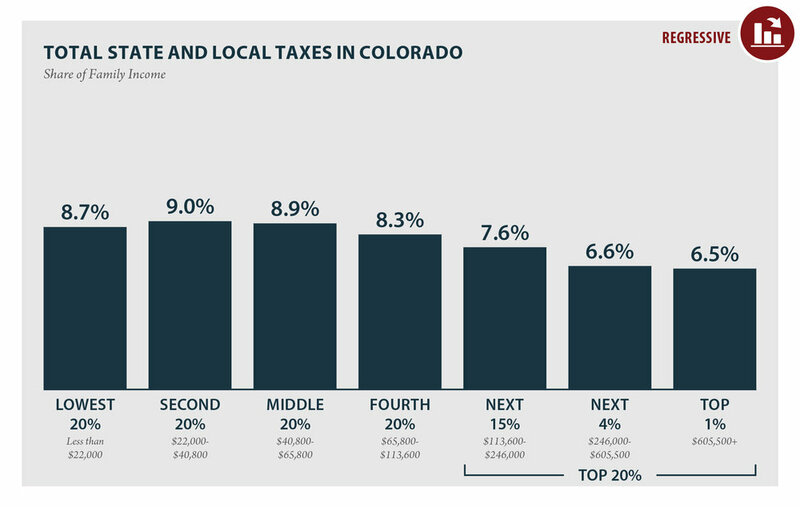 So why has Colorado’s economy been growing while our investments in these areas have been shrinking? After special interests rewrote our tax code more than 25 years ago, people earning low and middle incomes are actually paying more of their income in taxes than those at the very top. The wealthy and powerful — the ones who are benefitting the most from our booming economy — aren’t paying their fair share. That’s the opposite of the way it’s supposed to work. Colorado should have some of the best schools in the country, along with the best roads and communities. During the good times, we should be able to make these smart investments. Coloradans are innovators. We demand innovative solutions to fix our upside-down tax code. Even though our economy is booming, too many communities still haven’t recovered from the cuts made during the recession. That’s why people all over the state are getting together and saying enough is enough. If you’re sick and tired of wealthy special interests deciding the rules, then join us. Join the growing number of concerned Coloradans who demand better investments in the things that power our diverse communities: education, transportation, health care, and much more. Together, we can build a more prosperous future for ourselves, our children, and our communities. Thank you for your interest a fairer tax system. Stay tuned for news, resources, opportunities to get involved, and more!